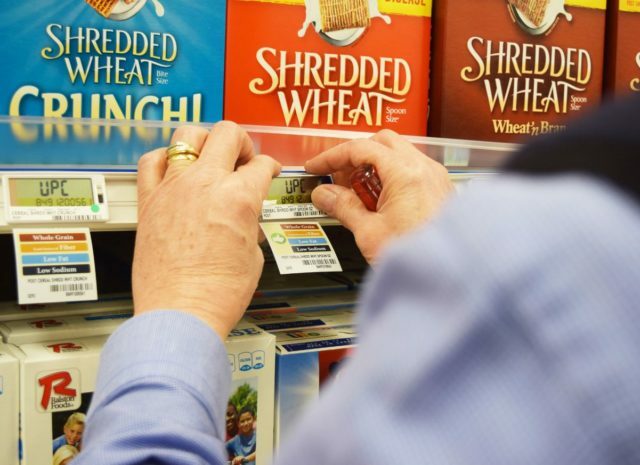 The dietician-approved Nutrition Guide Program (NGP), calls out key nutrient attributes of store products with color-coded shelf tags. The program is an easy-to-use guide for grocery shopping choices, highlighting the nutrition attributes of low sodium, low fat, whole grain, no added sugar and great source of fiber. The labels also highlight organic products. The guide is based on U.S. Food and Drug Administration and U.S. Department of Agriculture criteria/standards, which are widely recognized and trusted. All NGP tags for manufactured products are based on the food manufacturer’s labeling, including the Nutrition Facts Panel and ingredients list. DeCA worked in collaboration with key DOD agency and service branch health and wellness leads to align the program as closely as possible to the DOD Go for Green® nutrition education program that is deployed in the dining facilities. 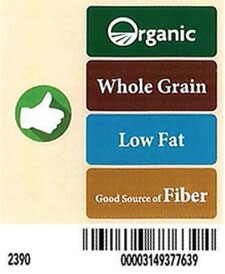 Items that align closely with the Green category (high nutrition quality/high performance foods) in Go for Green® will have a “Thumbs Up” icon displayed on the NGP label. NGP is another resource for patrons to use in the commissary to guide them in meeting their health and wellness needs. The NGP specifically draws attention to the vast array of nutrient dense, high quality items that are located in the center of the store, which can be confusing and where most people trip up. There are over 600 items just in the center of the store that meet the criteria for high nutrition quality/high performance food and have the “Thumbs Up” icon. Use the NGP supporting educational material to build a healthy shopping basket, which is the first step in building a healthy eating pattern that supports readiness and resilience.